Here's a new review for a game that lacks the typical charm of a Mario sports game, but it offers five sports with enough depth to make for a nice package and fair price. 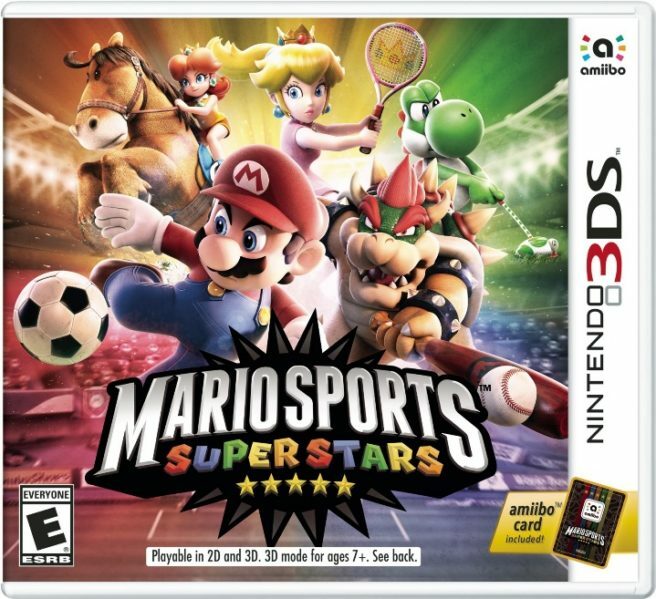 It's Mario Sports Superstars, and it's SuperPhillip Central's next review. Mario Sports Superstars is an interesting case. You'd expect a game with Mario and the gang attached to it to be wacky, arcade-like in gameplay and tone. 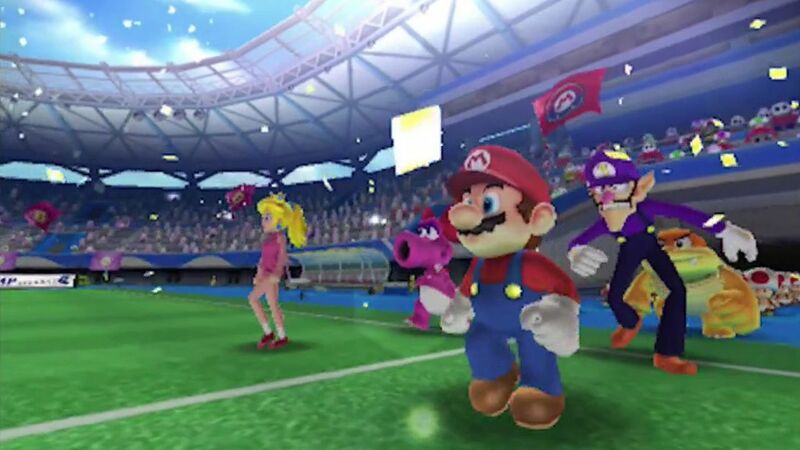 Instead, what you get with Mario Sports Superstars is a game that sticks rather closely to the idea of realism. Well, as realistic as plumbers and giant walking turtles hammering home runs can possibly be. Regardless, I'm focusing more on realism towards how the sports play. Outside of some special shots that set the ball ablaze when kicked, this collection of five sports in Mario Sports Superstars play it pretty straight and safe. The two teams take to the soccer (for us Americans) or football (for everyone else) field. 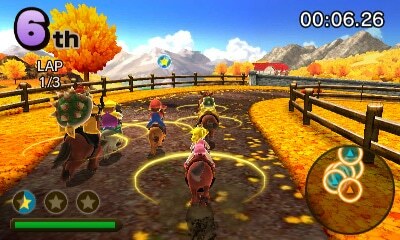 Mario Sports Superstars comes with five unique sports; soccer, tennis, golf, baseball, and the odd one of the bunch, horse racing. I only say "odd one" because when you think of typical sports, "horse racing" generally isn't one of them. Instead, I would think of hockey or basketball or something. Anyway, the five sports each have a basic set of features. Each gives you a basic tutorial on the controls of the game once you first enter that sport. Afterwards you can select to play a given sport with some customization in a free play style mode against the AI, or take on AI ranks in a tournament style mode. This has you going through the Mushroom, Flower, Star, and Champion's Cups, competing against more difficult AI players as you go along. With the score tied and the game heated, this at-bat might make all the difference. After the Star Cup is beaten, you earn a new character (a lame one and only for that particular sport), and after the Champion's Cup is completed, you earn the star version of the character or characters you played as (a version with beefier stats of your character). This is rather lame as well as you only earn the star version of the character for that sport. You must play the other sports and win the Champion's Cup in those to earn the star character in each. Alternatively, you can opt to buy Amiibo card packs to hope you get lucky to nab the cards to unlock the character you want to get a better version of. Alongside free play and tournament modes, there is one bonus mode per each sport that has three difficulties each. Passing the final difficulty means unlocking the other secret character in that particular sport, and it's another uninspired pick. There is also multiplayer available for all sports. All players require a copy of the game and a system in order to enjoy local play. Otherwise your only option to play with humans is online either with friends of with strangers. The problem with the latter is that players can disconnect from matches and there are no consequences for them and no reward for you. This makes the longer sports to complete a session in the game like soccer and golf especially annoying when you're about to win after having invested a good chunk of time, only to have the losing player intentionally disconnect. This robs of you both the win and your time. Moving on from the feature list of each sport and their multiplayer, let's talk about the actual sports. 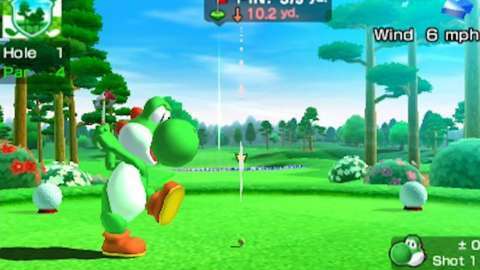 Players who have tried Mario Tennis Open and Mario Golf: World Tour will be familiar with both the tennis and golf gameplay of Mario Sports Superstars. In fact, it's basically unchanged, save for the Mushroom Kingdom-styled features like wacky courts and courses and fun items. Like I said before, pretty much all of these sports are played straight. 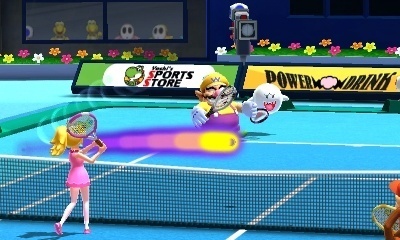 Tennis does, however, have the chance shots of Mario Tennis Open, which is enjoyable to play. (There's even an option to turn chance shots off in free play matches for a more grounded experience.) Meanwhile, golf possesses four courses of nine holes each, but these have no personality to them whatsoever. What's been done with both tennis and golf essentially is that the gameplay has been ripped directly from Mario Tennis Open and Mario Golf: World Tour but none of the charm has. animations but without the rest of the personality. Baseball isn't complex like your traditional sports sim despite possessing the realism of the sport without the wackiness of a game like Mario Superstar Baseball on the GameCube or Mario Super Sluggers on the Wii. On offense, you have the choice between swinging with B, a typical swing, or A, a power shot. Knowing when to use which and keeping the ball in your targeting box means all the difference between getting on base and getting an out against your team. Defense is limited, especially against the AI, as you can only pick one of a few pitches and move left to right as to where you wish to aim. The AI on higher difficulties will seldom, if ever, swing at a ball outside the strike zone, so you're left throwing balls that they can hit-- which they usually do. It's infuriating at best to see your lead dwindle to nothing because of the AI, which is a problem with other sports as well. Could the Green Magikoopa of all players be the MVP? Soccer is accessible in its tutorial, but it also offers a lot more depth in its gameplay if you wish to search for it (as seen in the Pro Tips section that each sport has). Passing, shooting, goal kicks, corner kicks, throw-ins, and the like are as realistic as you'd expect. It's even 11-on-11, which I've read is common for the sport (I'm an ignorant American here). The only "out there" addition to soccer is how the soccer ball slowly charges with energy. When it's at maximum capacity, a team captain or co-captain can harness the energy to unleash a special shot. 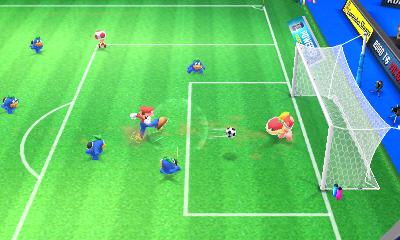 For Mario, the ball is set ablaze and does an upward arc over the goalie and into the net. For Bowser, if he charges his shot up, the ball with slam into the goalie, taking the goalie and the ball and blasting it into the net. Pom Pom will need all of her Koopa-like reflexes to stop this shot. Finally, there's horse racing. Regardless of my confusion with its addition, it's good it's here as it's a great deal of fun. The four cups in horse racing offer three unique tracks each. Rather than separate yourself from the pack, it's best to use another horse's slipstream, as if you were a NASCAR rider (sorry for the totally American analogy here-- I'm ignorant towards horse racing as well which I know there is the Kentucky Derby, but still). By using another horse's slipstream and then having smart use of boosts and special dashes known as Star Dashes, then winning becomes natural. I feel sorry for Bowser's horse as it has to carry all of that weight. Despite lacking the charm and wackiness of typical Mario sports games, I found some enjoyment from Mario Sports Superstars. For a system lacking traditional sports sims and more realistic sports experiences, Superstars is a nice overall package. Sure, the AI becomes infuriatingly cheap in later cups in baseball and soccer in particular, character and star character unlocks are lame, and the online multiplayer's answer to disconnects is nonexistent, Mario Sports Superstars offers a good package of sports (with enough depth to them) for a solid price.